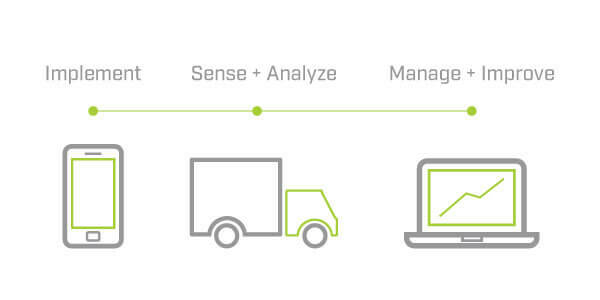 Enhance your mobility solution with our world-class driving behaviour platform. Since 2004, Greenroad’s platform has been used to measure, analyse and improve the driving behaviour of millions of drivers over the course of billions of miles. Now you can access our powerful algorithms and driving intelligence for your own apps and needs quickly and easily with our powerful SDK & API. GreenRoad Smart Mobility Partners can now access and embed our patented driver behaviour recognition engine, collision detection and data aggregation services into mobile applications and backend services. Our driving sensor intelligence and road condition awareness are unmatched in the industry. Easily add an advanced and complete driver behaviour solution to your offering. Quickly develop and launch smart mobility applications using our comprehensive open platform. Strengthen your solution with world-class driver behaviour awareness and feedback.